I cannot praise this dentist enough! She was brilliant. She explained exactly what she was doing. Reassured me thoroughly and I felt at ease. Considering it was Good Friday and in the evening, the price was very fair. If you are in need of a Dentist, then definitely call them. At Surbiton Smile I have had Invisalign (invisible brace), teeth whitening and a bridge. The team at SSC are fantastic. Dr Simin Soltani was amazing at discussing all the options with me. She always has time for her patients and her work is amazing. I was always so self conscious of my teeth / smile as I had a missing tooth (from orthodontic work I had done when I was a teenager). I feel so much more confident now and enjoy laughing / smiling without having to worry about my teeth. Thank you to Dr Soltani and the whole team at SSC. They are amazing and I would highly recommend them. Really happy with this practice - Dr Soltani is lovely and a very good dentist. 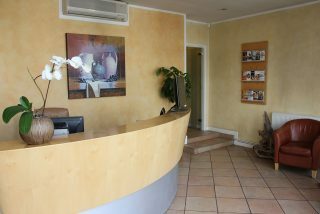 Waiting times are close to none and the staff are professional and friendly. I did a teeth whitening treatment with the Enlighten method and worked amazingly. I'm very grateful for knowing about Smile Centre in Surbiton! It's been recommended and I am more than happy that I went! Staff very helpful, responsible for customer's health and wellbeing! I don't think I will ever look back! The dentist lady is extremely professional and passionate in what she is doing and I just couldn't have asked for more from a dentist service! When I first walked in the door I was an extremely anxious patient. I Had avoided going to the dentist for over 12 years after a bad experience as a child which left me me a large phobia of dentists. I'd also like to add that I wasn't a big fan of needles either. A few years ago I developed a large crack in one of my teeth and even then I put off going to get it looked at until it got even bigger. At that point I tried to go to an NHS dentist but was too anxious to be treated so was referred to an NHS sedation clinic which was several miles away. After waiting several months, I was then told that I would need to be referred to the hospital as I was too anxious for the sedation clinic. It was at that point I decided to get a second opinion and looked for somewhere local that could offer sedation. From the moment I first called to now, I have found all the staff to be incredibly kind, understanding and patient with me. I saw Simin who took the time to explain all my options and was incredibly sympathetic and understanding. She reassured me as she had expreience in working with anxious patients. As I hadn't been to the dentist in many years, I needed quite a lot of treatment . I was allowed to bring my other half in to sit with me during the first set of treatment to hold my hand and was reassured constantly by both the dentist and the dental nurse. I was able to go through the first set of treatment with gas and air and was even able to cope with the dreaded needle! Because of the time and patience they have given me, although still anxious,I was able to cope with the next set of treatment without any sedation. It has been a process but I'm now a lot less anxious about dentists. Simin has built a relationship of trust with me that I am now able to manage without the really strong fear that I used to feel. I'm very thankful I found this practice and for all the support and staff that have been so good with me. They are all so lovely every time I go in and it's really reassuring to be in caring hands. About 4 years ago I was referred to The Surbiton Smile Centre for urgent periodontal treatment. I was so impressed by the friendly and professional service that Simin and her team gave me that I left my old Dentist and continued with Simin, who has done a tremendous job in getting me back on track with various treatments and hygenist visits. More recently, Simin has just completed extensive work on my teeth, including an implant, crowns and whitening treatment, which has completely transformed my mouth and look. I have received so many compliments and can once again smile with confidence! Simin and her team have been just wonderful. Through their expert care, knowledge and due diligence, they have made a huge impact on me and I cannot thank them enough. A fantastic service for the second time, and perfect teeth! Thanks again. Surbiton Smile are excellent in all that they do, they are very professional and meticulous in all aspects of their work, I had new veneers and crowns and they look amazing. I would highly recommend them to all. For many years I have been frightened to go to a dentist for my teeth. Iv not had many problems so I have put it off going until one day I had a bad pain in my tooth and I needed to find a dentist ASAP. I was recommended the smile centre and I was told to go and see Simin and her team so I reluctantly made the call. I explained the pain I was in and I was told to come in straight away which I thought was an amazing service but still I was feeling sick knowing I had to go there. From the time I opened there door to go in I was welcomed by the wonderful receptionist and introduced to Simin within minutes of waiting. Simin managed to calm me down within minutes and made me feel at ease with what she needed to do to make my pain go away. My feeling of being sick was disappearing as Simin made me feel comfortable in her surgery. Simin is a master at giving injections as I felt nothing when she had to give me an injection and within 10 minutes my pain was going. After everything was done Simin and her brilliant team kept me there until I was fully ok and to be honest at this point I was happy to stay there all day as they are really nice people to have a chat with and they don’t make you feel that they are in a rush to get you out the door ready for the next patient. Simin you are amazing along with your team and I would fully recommend the smile centre to everyone. If your nervous like I was go and see Simin she is brilliant with nervous patients and I’m sure once you go there you won’t be nervous anymore about going. Thank you so much for everything you have done and I can’t wait to see you and your team of wonderful ladies at my next appointment. I have been visiting Simin & Wendy at Surbiton Smile Centre for some years. I use the Practice Plan scheme which includes 3 Hygienist visits and 2 Dentist visits per year. Wendy (Hygienist) has taken me from borderline gum disease / Gingivitis to a good state of gum health which is only held back by my overly hard brushing, something which she chastises me for on every visit. Simin has done a great deal of work on my teeth over the years - including a fantastic set of central and lateral incisor crowns (front 4 teeth top) and 2 molar root canals + crowns. The dental technician Surbiton Smile Centre use to create crowns is an absolute Master. What can I say? I smile an awful lot these days! Excellent work, excellent service, excellent aftercare & lovely people. Very happy with the service I have received from all the team at Surbiton Smile Centre. 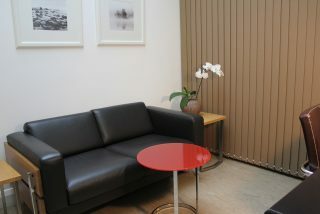 The staff are friendly and helpful and the treatment I have received is very good. I would thoroughly recommend them. I had my teeth straightened at Surbiton Smile Centre and now that I have had my braces removed I am extremely pleased with the excellent results. My teeth were very crowded before being straightened and I was initially unsure about how much they could be improved. I also had a problematic bite, which wasn't ideal for eating. 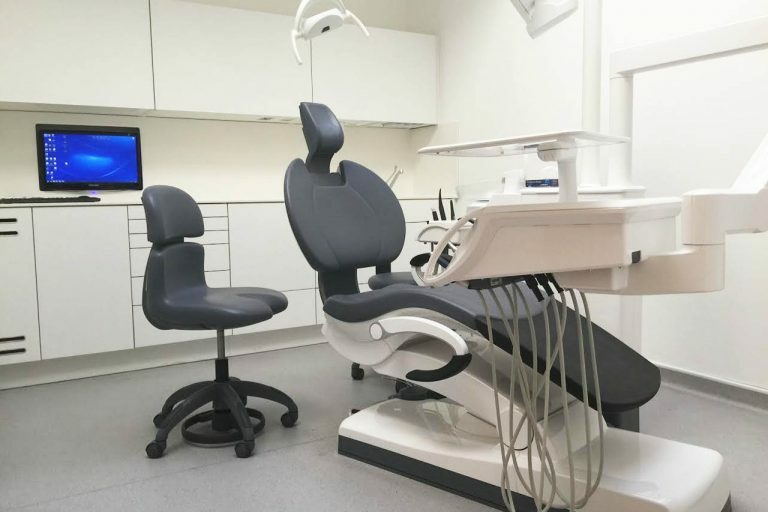 After a consultation with the knowledgeable team at Surbiton Smile Centre I was confident that having braces fitted was the right decision to improve my smile and bite. I chose the ceramic white braces and found them to be relatively discreet and unproblematic. 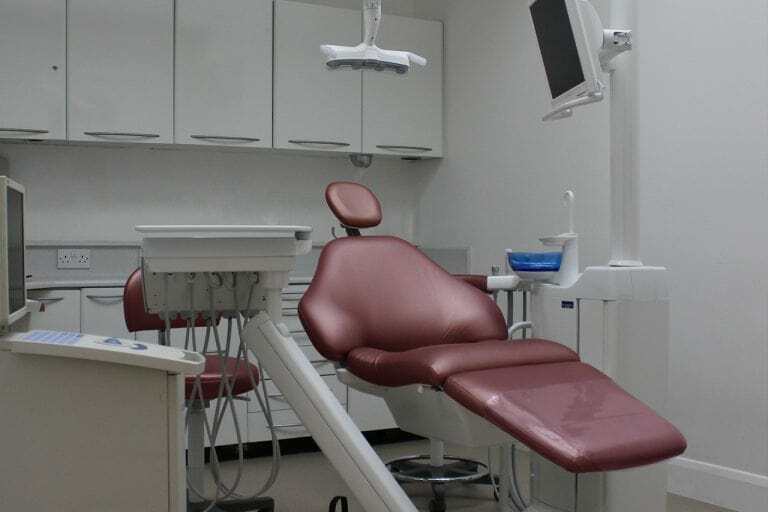 I also chose to pay upfront, which meant that I got a discount; it also meant that everything including the braces, retainers, adjustments and even emergency repairs were all covered in one payment. During the entire 17 months that the braces were in place I had no problems at all, but was confident that if I did have any problems that they would be handled with quickly and professionally. Now that I have had my braces removed I am so much more confident with my smile and with my oral health in general. My family and friends have commented on my fantastic new teeth and one of my colleagues also decided to opt for orthodontic treatment at Surbiton Smile Centre because I told him of my positive experience. In addition to orthodontic treatment I have had dental work, check ups and teeth cleaning done at Surbiton Smile Centre. I highly recommend Surbiton Smile Centre for their expert treatment, friendly staff, great service and reasonable prices. I am really pleased with my whole experience at Surbiton Smiles. The staff are very friendly and the service i received as well as the end results were very good. I highly recommend! As I sit here with my perfectly straight teeth, I can finally review the fantastic Smile Centre. I'm a nervous patient but the staff here put me at ease immediately. I've had many procedures done here & have always been impressed by the professional service & genuine friendliness. Last year I decided to have my bottom teeth straightened & was put under the care of their amicable orthodontist Theo. His advice was comprehensive & I understood the options available. I chose to pay on a monthly basis, which I think is a wonderful option. As the brace was fitted to the inside of my teeth as requested, it did not show at all. I highly recommend Smile Centre to anyone who is a nervous patient or seeking cosmetic dentistry. They have been brilliant with me on every occasion. Dr Simin is also a lovely & fantastic dentist & the hygienist there is the best I have ever encountered. Dr Theo is very professional, patient and happy to answer all your questions. Overall I am very pleased with the service from Surbiton Smile Centre. Highly recommended! Theo and his team were excellent during my treatment of having braces to correct my overbite. They dealt with everything professionally. Theo answered all my questions and made me feel confident that I was being looked after. I have had a great experience at Surbiton Smile Centre. Would recommend! I've been visiting the team at SSC for 9 months or so. My treatment included a front tooth implant plus upper and lower alignment. From start to finish the team were fantastic - especially good with appointment times, availability and patient communication. I've recently concluded my treatment and I couldn't be happier with the results. I'd highly recommend to someone looking for first class cosmetic dental treatment. Thank you Simin, Theo, Claudia, Fernanda and Wendy.